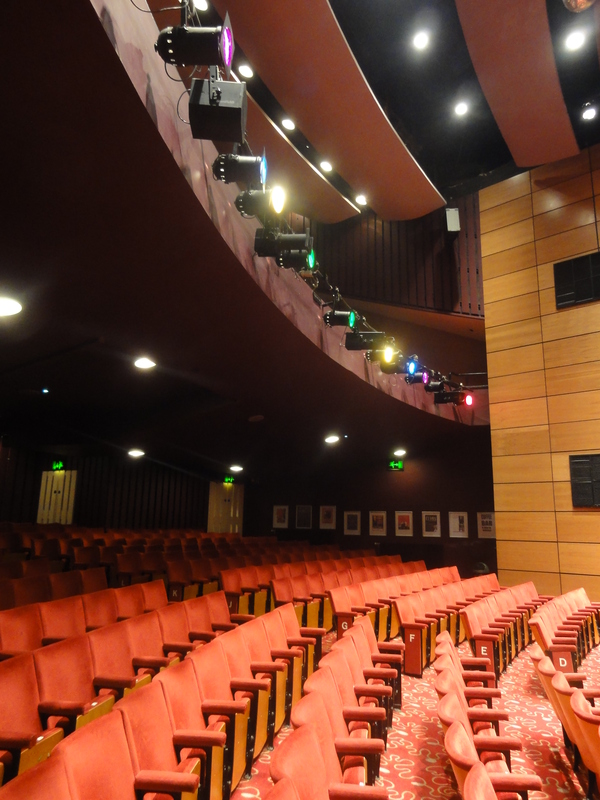 You can browse our events and activities at the theatre on our What’s On page. After selecting an event of interest, you can book tickets for that event by clicking the orange “Book Now” button. Once you have made your booking, you will receive an email confirming the date, time and details of the tickets you have bought. Please check these carefully, and telephone the Box Office if there are any mistakes. If you want group booking discounts (min. 20 persons), please contact the Box Office (you can find the number highlighted in the top right corner of our website). Our online booking facility works though a secure site, and gives you a confirmed booking with an email giving full details of your records. To book in person for any performance, contact our Booking Office—see our Contact page for our address and opening hours. Tickets reserved without payment must be paid for within 3 days. If booking within 3 days of the performance, check with the Box Office for the latest time for payment. Reduced rates may be available on certain performances for groups of 20 or more—check Box Office for details. For certain performances, we may offer a price reduction on full-rate theatre tickets for individuals under 16 years and over 60 years. No money refunded. Latecomers will not be admitted until a suitable break in the performance. Credit / Debit card and Online bookings are all subject to a per ticket booking fee. Tickets which are posted are subject to a charge of £1.00 per transaction. All major credit cards accepted: Mastercard / Visa / Switch / Delta.